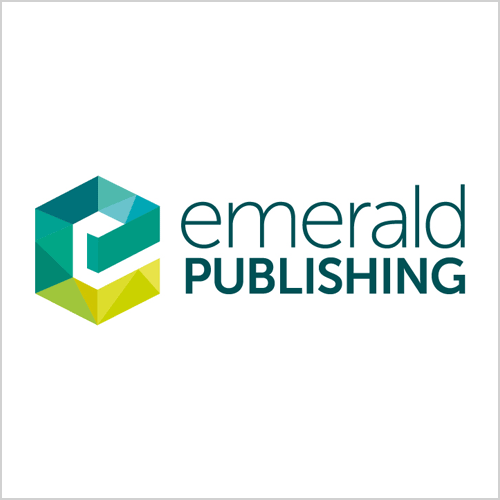 Emerald is a global publisher linking research and practice to the benefit of society. The company manages a portfolio of over 290 journals and over 2,500 books and book series volumes. Emerald's Management collection features over 80,000 articles from over 200 titles. The collection continues to disseminate the latest thinking, from authors at 95 of the Financial Times Top 100 business schools and forms an essential part of the research library at most of these institutions. The specialist collections in fields such as Education, Engineering, Library Studies and Marketing build on this strength; offering focused international research in a range of subject fields. The highest quality of double blind peer-reviewed research is at the heart of what Emerald does, working alongside some of the most prestigious contributors in their respective fields. A growing network of more than 106,000 advisers, authors and editors and nearly 5,000 customers across 130 countries worldwide reflects Emerald’s commitment to quality and relevance. Emerald sponsors many research funding initiatives throughout the world. If your school would like to learn more, please contact Emerald directly.